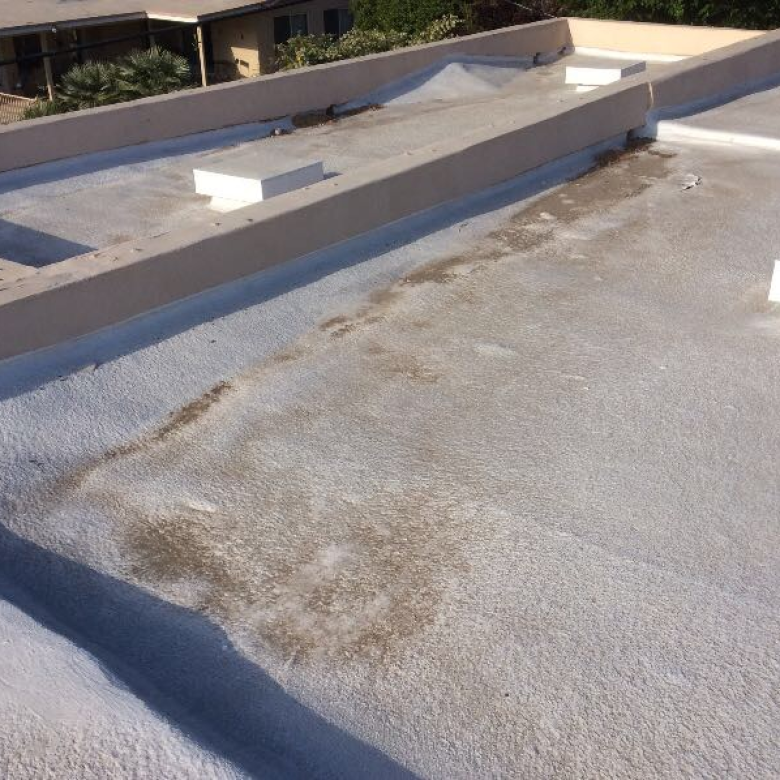 If your business has a flat roof, you perhaps haven’t given it a decent inspection in many years. Maybe you built it a decade or two ago to accommodate the style of your building, or to allow foot traffic and parking. 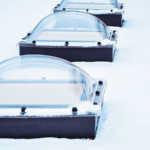 However you use your flat roof, you may need some repair by now, though don’t really know which coating you should use. 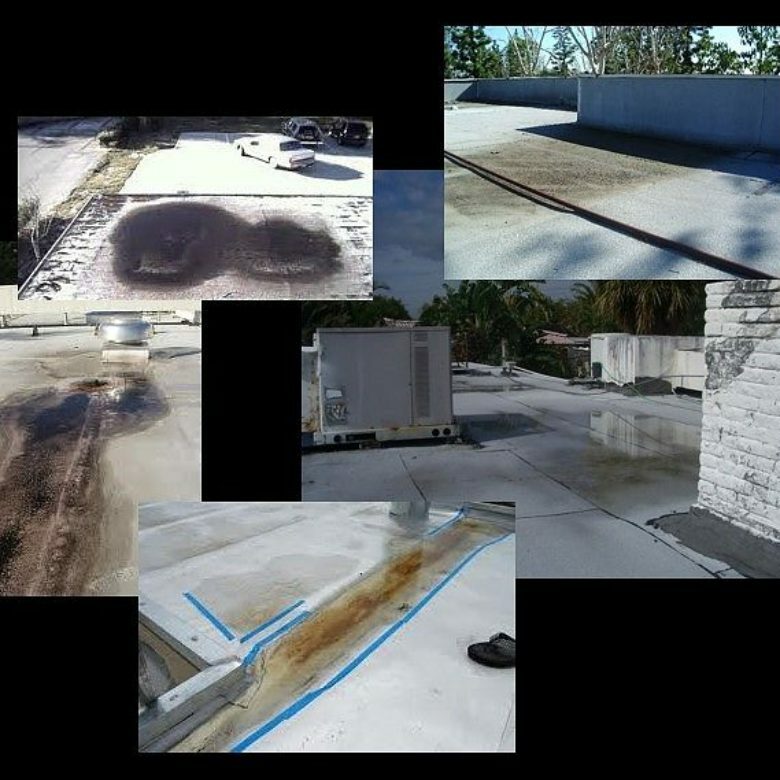 This is why identifying roof coatings is important so you know what your roof is made of and what’s needed to replace it. In some cases, you may want to change from one coating to another if you need something stronger for a particular purpose. First, you need to identify which kind of coating you have. It’s highly recommended to hire a professional roofer to inspect your flat roof for any damage. Afterward, they’ll help you decide which coating you need. 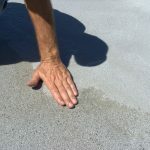 Let’s look at the most common flat roof coatings and how to identify yours. Using water-based materials, acrylic coatings are extremely popular because they don’t have any complex components during the mixing process. This simplicity also creates better safety since it’s not a flammable material. Plus, acrylic coatings don’t have toxic hazards if you have people walking on your flat roof every day. One thing you’ll appreciate about acrylic is you can get a coating with various colors so you can match the roof color with the paint color of your building. You can’t find that in other coatings, though application has to occur when there isn’t any extreme cold or heat. If you apply this in intense heat, it won’t properly set, and it may freeze in overly cold temperatures. Ponding water on a flat roof may also affect adhesion. Many businesses now prefer using silicon coatings for their flat roofs because of its appealing aesthetics and assured protection from leaks. It’s also one of the best coatings for withstanding ponding water, permanently. Because it’s equally sustainable, you don’t have to worry about replacing it until sometimes a decade or more later. This holds up well in climates with extreme temperature fluctuations, so it’s worth considering if your roof has extreme UV exposure. If your flat roof has considerable foot traffic, any existing silicon coating likely looks worn by now due to little abrasion resistance. Here you have another popular option and one around for over 50 years. You frequently see spray foam on built-up roofs and single-ply roof spaces. It’s used commonly for good reasons: Spray foam lasts a long time and has dependable energy efficiency. Thickness levels on this can range from an inch, or up to several inches, which is all dependent on how much insulation you want. What’s so great about it is you can make it soft or hard, giving you options if your roof has recurring foot or car traffic. This also holds up well in virtually any type of inclement weather. While this might sound overly technical, it’s also known as SEBS rubber coating. Typically, it’s used on metal and concrete flat roofs without costing a fortune. A favorite aspect of thermoplastic coatings is that it has a low permeability rating so you don’t have to worry about fungi and algae developing on your roof from ponding water. Here at RoofSlope, we’ve created a unique coating guaranteeing to eliminate ponding water on your roof all in one application. It’s a compound that can benefit your flat roof for many years without needing re-coatings every years. Contact us to find out more about our product and how it helps repair all roofs with low spots.